Let your employees select their health insurance, retirement, and other benefits easily, according to their eligibility, and have their choices update your payroll system for the next pay run. 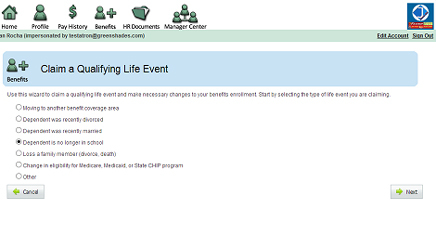 In addition, the solution assists in managing ACA eligibility and reporting. 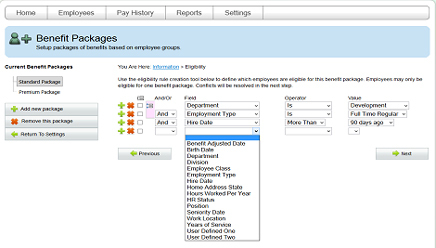 Setup eligibility rules so that employees see only what is available, when it is available. 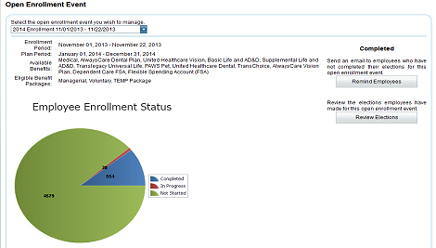 Coordinate open enrollment online for your employees to choose their plans. Real-time management of qualifying life events. 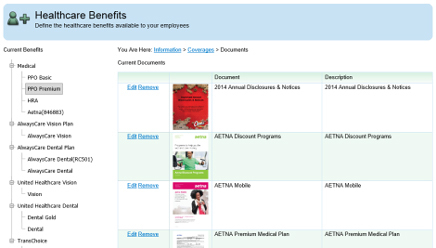 Make your employee benefit guides available online and in one place. 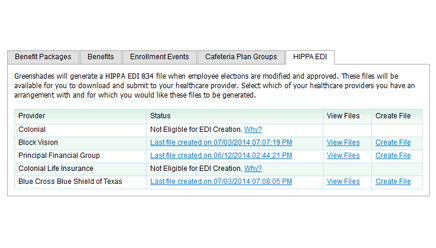 Generate industry standard EDI files for submitting electronic enrollment updates to health insurance providers. Manage ACA eligibility and reporting requirements while easing your compliance concerns.